Mold can occur easily after flooding, or from improper ventilation or humidity. Metal, although not porous, can still be a carrier for mold growth. Ensure that mold on aluminum, copper, steel and other metals is addressed quickly to prevent the mold from spreading to surrounding materials like wood or drywall. 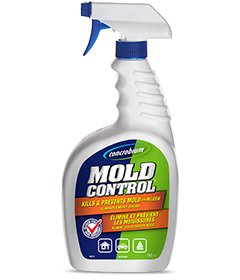 Apply a thin, even coating of Concrobium Mold Control to the affected surface and surrounding areas. Allow to dry. As it dries, Concrobium crushes the mold spores and allows you to wipe them away safely with a Concrobium dampened brush or cloth. Re-apply a thin layer of Concrobium on the surface to leave behind a protective barrier, preventing from future mold growth. 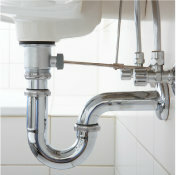 If metal has become a problem area for mold, chances are you have moisture and humidity issues. Address these problems to ensure your mold problems don’t spread to other, more porous materials like wood and drywall.